USE THIS PAGE TO PAY FOR ACCOMMODATIONS OF UP TO TWO NIGHTS. Accommodations are available at Nileshwar in Shakti Mandir. Additional accommodations are provided in nearby hotels when Shakti Mandir is full. Accommodations are offered on a first come, first served basis. All retreat packages include options for enrolling with accommodations and meals included. 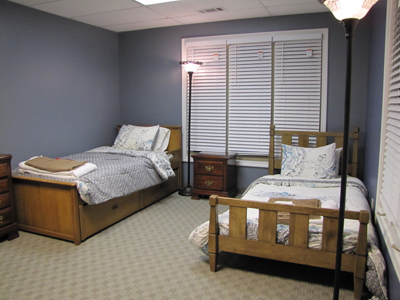 All rooms for overnight stays are shared accommodations of 2-3 people to a room, male/male and female/female. If you want a room by yourself, at times when accommodations are not completely booked, we may be able to assign such a room. There is an additional fee for singles (see below). Contact us well in advance of your stay to check on this option before purchasing on this page. For married couples and families who wish to stay in the same room, contact us in advance about room availability. In addition to accommodations for courses, weekend retreats and weeklong retreats, accommodations are available for short stays of one night or more, up to 2 weeks. We want to make your stay as comfortable as possible. Contact us with any questions you may have. Short-Term Stays At Nileshwar Meditation and Spiritual Retreat Center. **If you want to come to our retreat center for a short stay of more than 2 nights and you are not enrolling in a course or retreat, you must complete an application for short-term stay. Contact us to request an application well in advance of when you want to come. If you want to stay overnight for up to 2 nights, you must contact us first to request a room. This request must be made a minimum of one week in advance of the date you are requesting, NO EXCEPTIONS. If you are enrolled in a course or retreat for which you have chosen accommodations that are included, and you have verified with us that a single room is available, use the single room purchase option in the column to the right of this purpose. **Meals are only offered and included as part of course and retreat packages, where noted. For overnight stays of up to two nights, meals are not included. You can purchase food at any of the nearby eateries. If you are applying for a longer, short-term stay (see above), you will be informed of the meal options upon approval of your application. PAY FOR OVERNIGHT STAY – $55 per night. Be sure to check with us first by sending an email to request availability of this option, before you pay on this page. 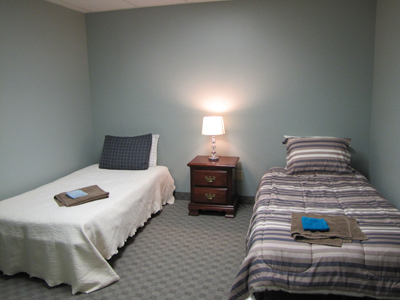 ADD-ON PAYMENT FOR SINGLE ROOM – $40 per night (in addition to the standard overnight room fee). **If you are using this option and staying more than 2 nights, do not pay here. Contact us instead for instructions for paying.